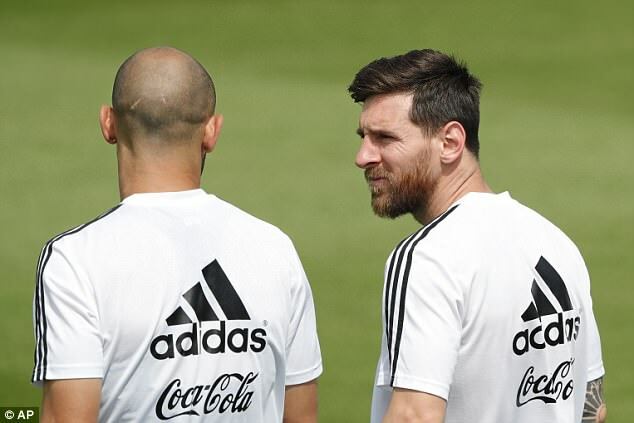 Javier Mascherano insists Lionel Messi is frustrated with Argentina’s situation but is motivated to inspire an upturn in their fortunes heading into their final group game. Argentina are on the brink of World Cup elimination after a 1-1 draw with Iceland and a 3-0 defeat by Croatia saw them take just one point from their first two matches. 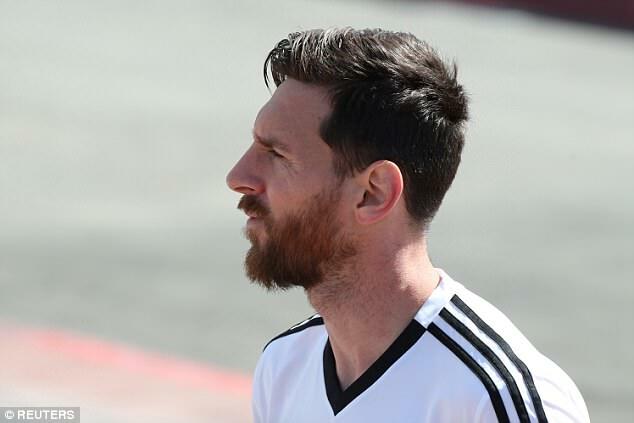 Messi has looked under immense pressure during both matches and shouldered a lot of the blame after seeing his penalty saved in the draw with minnows Iceland. Argentina must now beat Nigeria on Tuesday and hope to better Iceland’s result against Croatia to ensure their passage into the last 16. And Mascherano admits Messi is desperate turn things around against Nigeria and ensure Argentina’s campaign doesn’t end at the group stages. ‘Leo is fine,’ Mascherano told a press conference via Goal. ‘But as a collective, where things don’t go as we’d like, we all have our own frustrations. But Mascherano dismissed talk of a rift between squad and coach, insisting the players’ relationship with Sampaoli is the same as before. 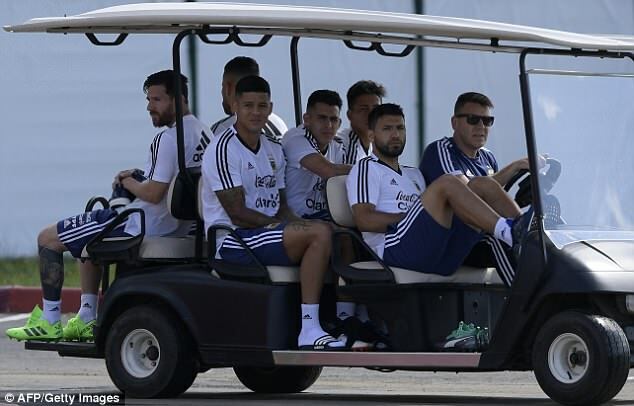 ‘The relationship with Sampaoli is totally normal, but if we feel uncomfortable, we will raise it, otherwise we would be hypocrites,’ Mascherano said. ‘The opposite would be to harm the team, we must seek the collective benefit, we are 23, also those of the squad,’ the former Barcelona defender added.